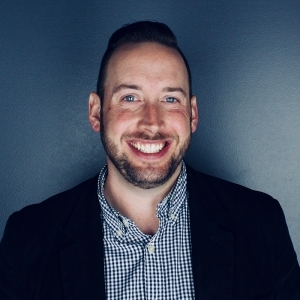 Bill is passionate about building relationships and helping clients grow their businesses, and specializes in innovative and strategic resource management. He has a knack for fine-tuning small details and strategies that result in huge positive impacts for his clients. Prior to joining JNT Company, Bill worked for international apparel giant GTM Sportswear, where he enjoyed helping struggling youth activity groups to rethink their approach to achieve their goals. Through his innovative ideas and strategies, he led once struggling groups to expand, thrive and succeed. As a passionate supporter of youth activities, Bill is proud to have been involved with aiding these groups to make a lasting impact on the lives of children. Bill’s duties at GTM also included working closely with a variety of teams—ranging from small dance studios to collegiate organizations and NFL cheer teams—successfully serving clients throughout the U.S., Canada, Europe and Australia. During this time he was an essential component in the development of new sales divisions, introducing new verticals, territories and helping to develop inside and outside sales teams, ultimately contributing to the company's significant growth from $20 million to $80 million in annual sales. Bill graduated from Kansas State University with a bachelor’s in Business Administration with an emphasis on finance. He brings a wealth of experience and is committed to cultivating a sales operation that breeds success and results in a high level of customer satisfaction. When not developing JNT Company's next sales strategy, you can find Bill in the stands at any K-State sporting event or on the field coaching his son’s football team. Bill is a life-long resident of Manhattan, KS where he resides with his wife, Emily, and their two children.